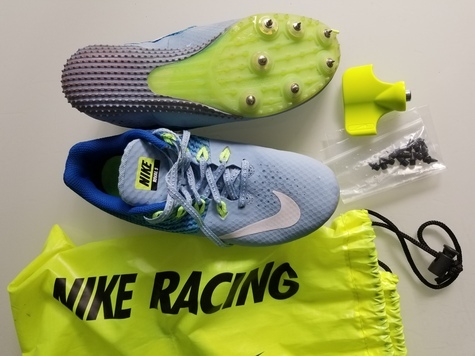 Nike Rival S Sprint/Jump Spikes Women's Size 6.5 with spikes in them, extra spikes, spike tightener/remover and yellow Nike carry bag. My daughter wore them twice while seeing if the long jump was for her. The spikes were great, she just decided not to pursue track. Paid $99, Asking $30 - meet in Sammamish or Issaqquh and pay in person.